The ball of your foot may not receive much fanfare, but it has a tough job. Located at the metatarsal heads where the toes meet the foot, it has to withstand daily stresses from standing, walking, running, hard impacts from foot strikes, and more. When overuse or trauma causes this region of your foot to become painful and swollen, we call it metatarsalgia. Metatarsalgia isn’t really an injury or condition in and of itself; it’s more like a catch-all term for any pain in the ball of your foot. The discomfort may be acute or chronic, and it may or may not come with swelling, bruising, or redness. Pain usually worsens when you put pressure on the ball of your foot, such as when walking or flexing feet. There are a wide variety of possible explanations for why you’re experiencing pain in the ball of your foot, though most are associated with regularly putting excess weight or pressure on the forefoot, whether the ultimate underlying cause is a result of nature or choice. Abnormal foot shapes or structural deformities—high arches, bunions, hammertoes, even an extra-long second toe—can alter your gait or shift weight toward the forefoot, causing stress and pain. Obesity is another “natural” cause—even 10 or 15 pounds of added weight can greatly magnify the force on the front of your feet when you walk or run. The repeated pounding of foot strikes from running or intense training and athletic activity is another possible explanation. Often the problem isn’t your feet or your activity (or at least not only these things), but your shoes. It’s no secret women are more susceptible than men to metatarsalgia—high-heeled footwear pushes all your weight to the front. That said, any shoe that lacks proper room and support in the toe box, including athletic shoes, may be at fault. Pain in the ball of your foot can also be caused by nerve damage, for example from Morton’s neuroma. In this condition, a knobby mass of tissue forms around the nerve between your third and fourth toes. You may feel like a rock is stuck in your shoe, or there’s a fold in your sock. Stress fractures—hairline breaks in bones from repeated foot strikes—could also be at fault. Because the symptoms of metatarsalgia can be the result of a wide variety of underlying conditions, treatments will vary. Of course, we’ll start with a full examination of the affected area, including X-rays if there is a chance of stress fractures or other hidden issues. The good news is that, in most cases, conservative measures will be all you need. Since many causes of metatarsalgia essentially boil down to the same thing—too much force on the forefoot—the solution is to get some rest and relieve that pressure. Skip the high heels. Buy and wear shoes that provide adequate support. Maintain a healthy body weight. Listen to your body and don’t keep pounding weary feet. Try stretching and physical therapy. If the pain is being caused by an underlying deformity such as bunions or high arches, a custom orthotic device—individually crafted by our experts and designed to fit the exact contours of your foot—can rebalance your weight across your entire foot and even correct gait abnormalities. 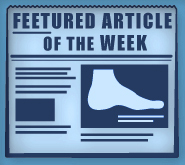 In some cases, the underlying cause (Morton’s neuroma, hammertoes, etc.) will have to be addressed in order to relieve ball of foot pain. Conservative methods will be exhausted first, but occasionally surgery may be required. Metatarsalgia may be a common foot complaint, but you don’t have to live with the pain. If your forefoot is aching, call Foot Doctor of the East Bay at (510) 483-3390. With three convenient offices just a stone’s throw from San Francisco, Oakland, and San Jose, we are the Bay Area’s top destination for foot and ankle care.